How to watch Arrow: Season 5: Bratva on Netflix Denmark! Yes, Arrow: Season 5: Bratva is now available on Danish Netflix. It arrived for online streaming on March 12, 2018. We'll keep checking Netflix Denmark for Arrow: Season 5: Bratva, and this page will be updated with any changes. 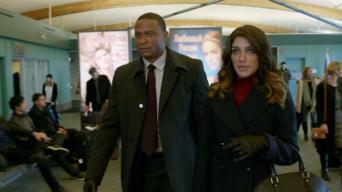 A grave new threat takes the team to Russia, where Oliver runs afoul of an old Bratva comrade. In Star City, Rene faces a test of leadership.